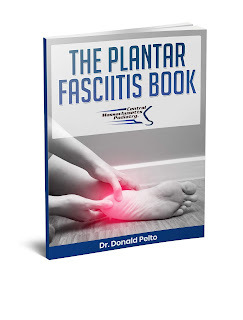 Dr. Pelto's Blog: My child has foot pain what can I do? My child has foot pain what can I do? I see many children in the office with foot pain. The most common type is in the heel region. Some people call this growing pains but others are concerned there is a break of the heel bone. To understand better most often when children grow their bones grow faster than their tendons and ligaments. As a result the tendons pull on the bones. In the heel for example there is a growth plate on the back of the bone that becomes painful with that added pull. The technical term is calcaneal apophysitis and happens mostly in children. That is the problem and here are the options for treatment. As well if you want to get a whole booklet on this you can request my free book here. If you found that helpful and would like to learn more here are some other helpful resources.